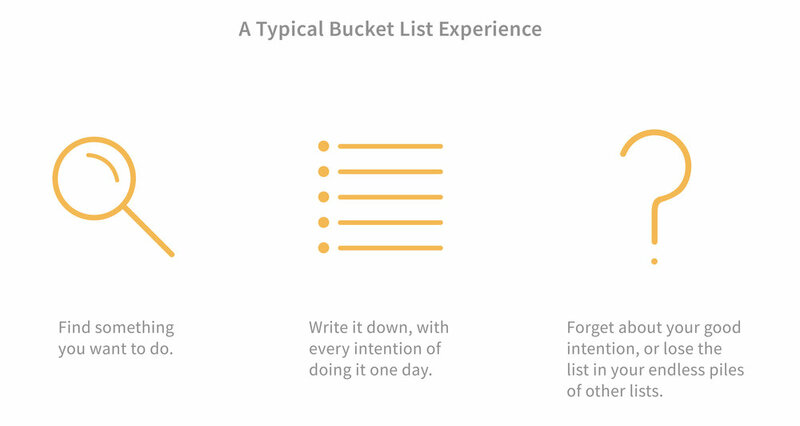 It’s built to turn dreamers into doers while holding your bucket list in one convenient place. No more lost lists or forgotten goals. 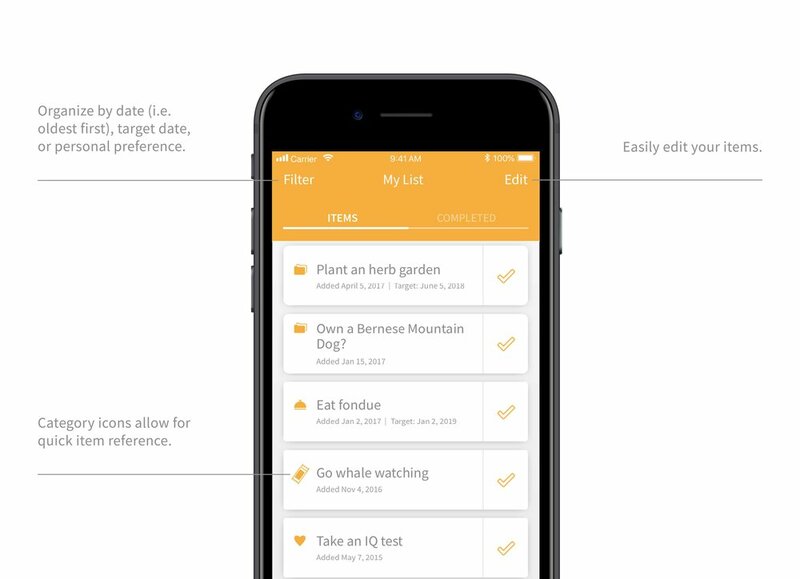 From your list, you can easily see multiple opportunities to finally cross off that thing you’ve been wanting to do, all within the app. 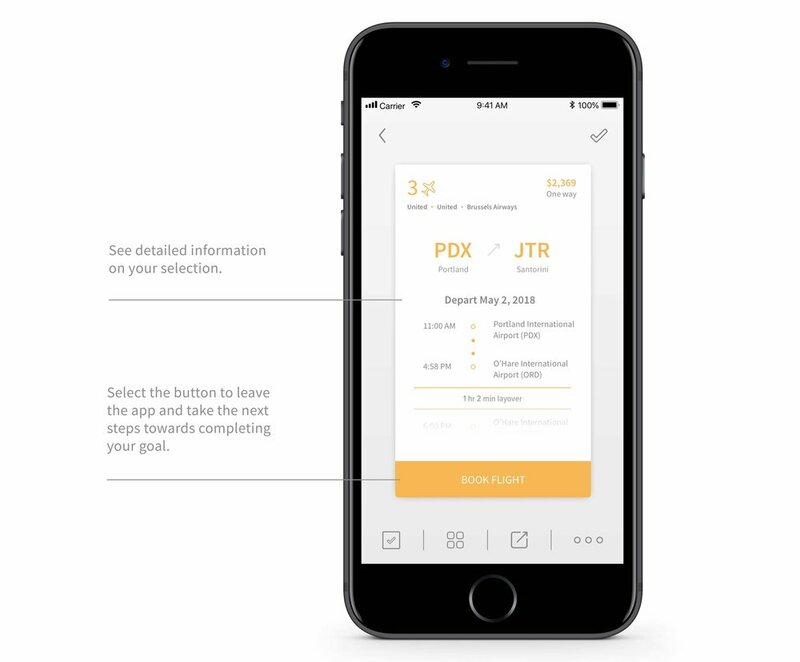 To view a prototype of the app, click here. Bucket lists are great, but if you’re like me and have a million other lists stored in your phone, they tend to get overlooked. You end up not doing the things you hoped you would and I wanted to create an app that solves this problem. Task-based apps help us do many things, and they need to be made efficiently so that the user can go about navigating the app without being distracted by it. The structure of Limitless is built to allow the user to quickly and smoothly see what they want while making it clear how to get around. Paths were made to connect to the same destination from separate places and interweave the screens together. Being one of its primary features, adding items to your list had to be easy and fast. By using pre-loaded categories and a few steps, new items are organized right from the start. 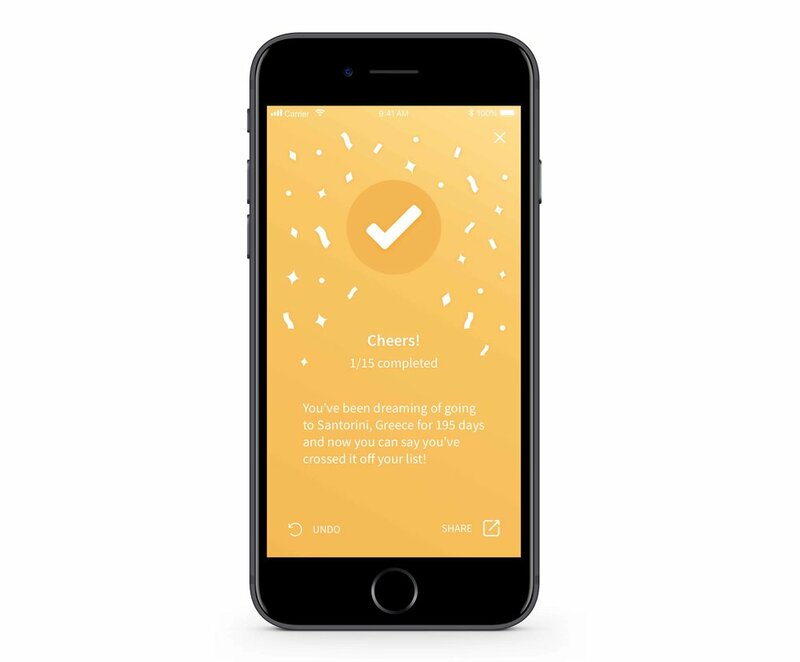 Bucket lists are typically filled with fun, hopeful things and activities, so the app needed to reflect that cheerful spirit while also being easy to use right after downloading. 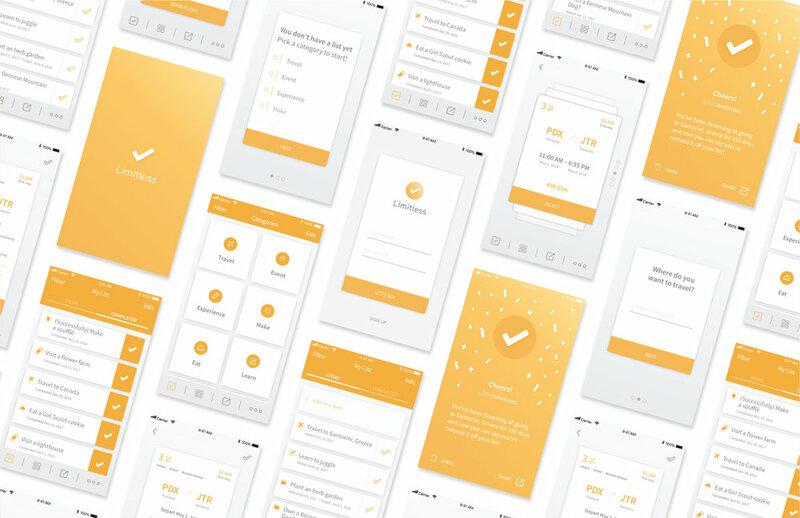 User-friendly navigation styles and a card system allow the user to flow through the app, while the celebratory completion screen and playful icons add personality and friendliness. The result is an app that is both handy and helpful.